Integrated 12x optical zoom that clearly identifies people (90 m / 295 ft maximum) without loss of any identification details (250 pixels/m). Pre-position Accuracy ± 0.1° typ. 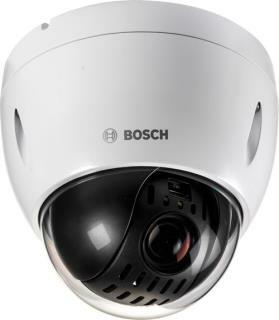 In-ceiling or indoor pendant dome camera with 12x lens, 720p or 1080p HD resolution, and features such as pre-programmed user modes, Intelligent Dynamic Noise Reduction, remote camera access, and dual power options. Easy installation.